17'6" x 11'3" x 3/16"
This wall consists of about 270 tiles, each measuring 10 inches square and covering the wall from floor to ceiling. The casting material is capable of picking up very fine details. 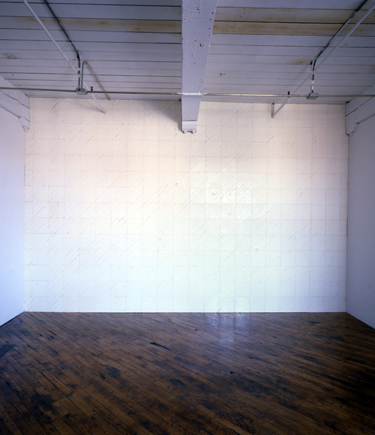 Each tile is a direct cast of the section of floor in front of it, so that the wall looks like a mirror-image of the floor, albeit inside-out and all white.